So the priests, the Levites, the gatekeepers, the singers, some of the people, the temple servants, and all Israel settled in their towns. When the seventh month came-- the people of Israel being settled in their towns-- all the people gathered together into the square before the Water Gate. They told the scribe Ezra to bring the book of the law of Moses, which the LORD had given to Israel. Accordingly, the priest Ezra brought the law before the assembly, both men and women and all who could hear with understanding. This was on the first day of the seventh month. He read from it facing the square before the Water Gate from early morning until midday, in the presence of the men and the women and those who could understand; and the ears of all the people were attentive to the book of the law. The scribe Ezra stood on a wooden platform that had been made for the purpose; and beside him stood Mattithiah, Shema, Anaiah, Uriah, Hilkiah, and Maaseiah on his right hand; and Pedaiah, Mishael, Malchijah, Hashum, Hash-baddanah, Zechariah, and Meshullam on his left hand. And Ezra opened the book in the sight of all the people, for he was standing above all the people; and when he opened it, all the people stood up. 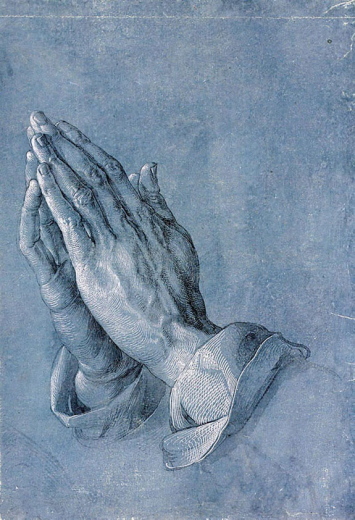 Then Ezra blessed the LORD, the great God, and all the people answered, "Amen, Amen," lifting up their hands. Then they bowed their heads and worshiped the LORD with their faces to the ground. Also Jeshua, Bani, Sherebiah, Jamin, Akkub, Shabbethai, Hodiah, Maaseiah, Kelita, Azariah, Jozabad, Hanan, Pelaiah, the Levites, helped the people to understand the law, while the people remained in their places. So they read from the book, from the law of God, with interpretation. They gave the sense, so that the people understood the reading. And Nehemiah, who was the governor, and Ezra the priest and scribe, and the Levites who taught the people said to all the people, "This day is holy to the LORD your God; do not mourn or weep." For all the people wept when they heard the words of the law. Then he said to them, "Go your way, eat the fat and drink sweet wine and send portions of them to those for whom nothing is prepared, for this day is holy to our LORD; and do not be grieved, for the joy of the LORD is your strength." So the Levites stilled all the people, saying, "Be quiet, for this day is holy; do not be grieved." And all the people went their way to eat and drink and to send portions and to make great rejoicing, because they had understood the words that were declared to them. On the second day the heads of ancestral houses of all the people, with the priests and the Levites, came together to the scribe Ezra in order to study the words of the law. And they found it written in the law, which the LORD had commanded by Moses, that the people of Israel should live in booths during the festival of the seventh month, and that they should publish and proclaim in all their towns and in Jerusalem as follows, "Go out to the hills and bring branches of olive, wild olive, myrtle, palm, and other leafy trees to make booths, as it is written." So the people went out and brought them, and made booths for themselves, each on the roofs of their houses, and in their courts and in the courts of the house of God, and in the square at the Water Gate and in the square at the Gate of Ephraim. And all the assembly of those who had returned from the captivity made booths and lived in them; for from the days of Jeshua son of Nun to that day the people of Israel had not done so. And there was very great rejoicing. 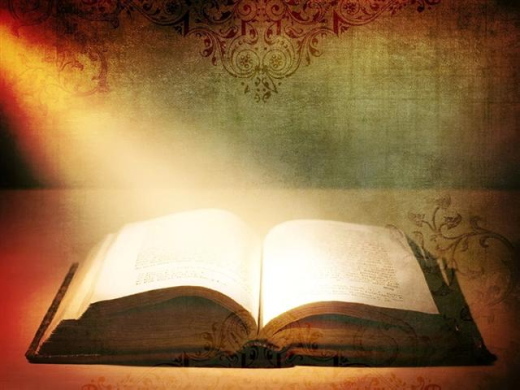 And day by day, from the first day to the last day, he read from the book of the law of God. They kept the festival seven days; and on the eighth day there was a solemn assembly, according to the ordinance. Then a mighty angel took up a stone like a great millstone and threw it into the sea, saying, "With such violence Babylon the great city will be thrown down, and will be found no more; and the sound of harpists and minstrels and of flutists and trumpeters will be heard in you no more; and an artisan of any trade will be found in you no more; and the sound of the millstone will be heard in you no more; and the light of a lamp will shine in you no more; and the voice of bridegroom and bride will be heard in you no more; for your merchants were the magnates of the earth, and all nations were deceived by your sorcery. And in you was found the blood of prophets and of saints, and of all who have been slaughtered on earth." After Jesus had left that place, he passed along the Sea of Galilee, and he went up the mountain, where he sat down. Great crowds came to him, bringing with them the lame, the maimed, the blind, the mute, and many others. They put them at his feet, and he cured them, so that the crowd was amazed when they saw the mute speaking, the maimed whole, the lame walking, and the blind seeing. And they praised the God of Israel. Then Jesus called his disciples to him and said, "I have compassion for the crowd, because they have been with me now for three days and have nothing to eat; and I do not want to send them away hungry, for they might faint on the way." The disciples said to him, "Where are we to get enough bread in the desert to feed so great a crowd?" Jesus asked them, "How many loaves have you?" They said, "Seven, and a few small fish." 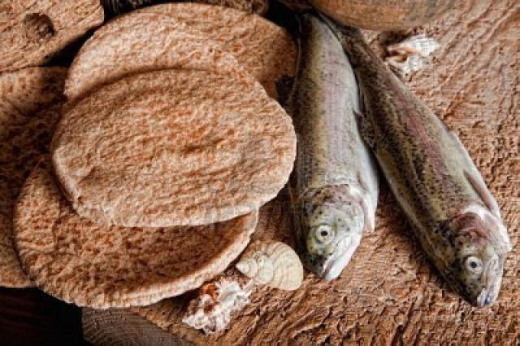 Then ordering the crowd to sit down on the ground, he took the seven loaves and the fish; and after giving thanks he broke them and gave them to the disciples, and the disciples gave them to the crowds. And all of them ate and were filled; and they took up the broken pieces left over, seven baskets full. Those who had eaten were four thousand men, besides women and children. After sending away the crowds, he got into the boat and went to the region of Magadan. Psalm 25:4 (NIV) Show me your ways, Lord, teach me your paths. Daniel Detweiler told a story about his experience with ants. The story went something like this. As Detweiler walked from his house to the garden, he noticed a long string of ants coming uphill across his path. He stopped to watch, and then dropped to his knees to observe them more closely. All of the ants were following the exact same path. The path was about the width of the ants themselves. Not one ant was standing still, slooping, or wandering off course. At times there was a little break in the procession; enough so that the following ant could not see the next ant ahead. He was not lost, and all he had to do was to keep moving ahead on the same path. They would all eventually meet at the same destination. Detweiler carefully bent over and made a little path across the ant path with his finger, but left the rest of the ant path undisturbed. When the next ant in the line came up to his finger mark the ant stopped. Obviously confused, it wandered back and forth. The ant no longer knew where to go. The following ants did the same. In a short while a whole group of ants did the same. They were bypassing each other and crisscrossing his finger path, and also the original ant path. They could not figure out their initial path, and their running around only brought more chaos. An example of a person's path being blocked in the Bible was in 1 Thessalonians when Paul wrote a letter to the “brothers and sisters” in the church in Thessalonica. He wrote that he had been separated from them for a little while. Then went on to say: “(I) wanted very much to come, and I, Paul, tried again and again, but Satan prevented (me).” Paul's path to go to the church in Thessalonica had definitely been blocked. When this happened did Paul go running around in confusion and chaos like the ants did? No, Paul understood that God has a reason behind every disturbed path. God's people as they travel their ordinary road of life, often have their perfectly planned out path abruptly blocked. Like the ants they often stumble, crisscross, and become confused because of it. Why not take the time to remember that your Rock is Christ, and if you trust Him, and steadfastly follow Him, He will give you, like Paul, the wisdom to know which way to walk around, or go over, the stumbling block, and that will be your right path to follow. Lord, we lift our eyes in prayer and wait upon Your direction. Encomienda al Señor tus afanes, y él te sostendrá; no permitirá que el justo caiga y quede abatido para siempre. And if anyone wants to sue you and take your shirt, hand over your coat as well. If anyone forces you to go one mile, go with them two miles. Give to the one who asks you, and do not turn away from the one who wants to borrow from you. Girlfriends in God - I Have a Great Plan, Lord! I had gone to see my general practitioner after a pretty nasty fall, but I just thought I had bruised my collarbone or pulled a ligament in my shoulder. He x-rayed my shoulder and said, “Well, the good news is that you have not broken anything.” Awesome! I was so relieved. “But you have separated your shoulder.” What? I then assumed they could pop it back into place – right? “I’m going to send you to an orthopedic surgeon,” he said. Seeing the look of horror on my face, he continued, “Just to see if you need physical therapy or surgery.” I knew what I needed. Physical therapy. But here is the orthopedic surgeon telling me I need surgery. I was not happy. “How long is the recovery from this kind of surgery?” I asked. “About 3 months, and it is a tough recovery that includes vigorous physical therapy,” he said. The prospect of having to endure pain did not bother me. What did bother me was watching my summer slowly go down the drain before my eyes. Have you ever been there? 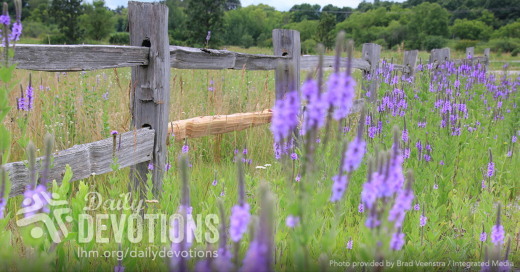 Your carefully laid out plans disintegrate before your eyes and you wonder what God is doing? I know there are days when the plan of God seems completely wrong and we simply do not understand. Every moment is pregnant with darkness, and our hearts are numb, paralyzed by fear and doubt. 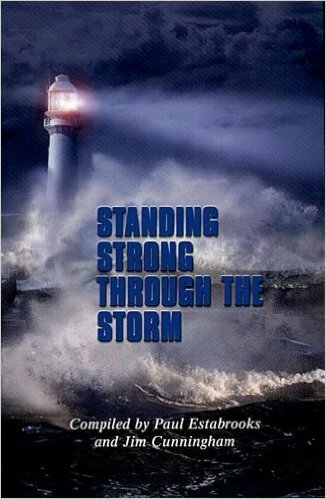 We are treading water in the storm-tossed sea of life, desperately longing to see Him walking on the treacherous waves toward us, rescue in His hand. It is in those shadowed moments that we must choose to trust the Plan Maker, the Master Designer, even though our faith is small, and we cannot understand the plan. His ways are higher than our ways. His thoughts are higher than our thoughts. And one day, every one of our question marks will be yanked into exclamation points as we see that high plan as He sees it – perfect. LHM Daily Devotion - November 15, 2017 "Giving Up"
That Scripture above is just about as clear as you can get: the day is coming when we must all appear before the judgment seat of Christ, each to receive according to what he has done with his life, whether he has used it for good or evil. A long time ago, I heard a story which sheds some light on that passage. The story went something like this: a woman arrived at the pearly portals of heaven. A voice, presumably that of St. Peter, asked, "What is the password? Speak the password and you may enter." The lady was shocked. She remembered nothing about a person's entrance to heaven needing a password. She thought for a bit and said, "Is it 'Whoever calls on the Name of the Lord shall be saved'?" The lady thought and said, "How about 'The just shall live by faith'?" "'Call upon Me in the day of trouble'?" "How about, 'I have fought the fight -- run the race'?" "Those are all true sayings," says the voice, "but they are not the password for which I listen." Exasperated, the lady finally said, "Well, then I give up." "That's right" said the voice. "Come right on in. You see, you've got to give up doing it yourself." The story points out the truth of our text today. The truth that someday we will all have to stand in judgment before the Lord and, we will, figuratively speaking, need the right password. You know, we don't have to die to be judged. Certainly judgment will happen after we die, and there will be no reprieve. Similarly, there will be no innocent pleas accepted by virtue of the fact that we should not be held accountable for our actions. The fact of the matter is that we are judged every day by the conditions of humankind and the affairs of our own hearts. That means if we were to speak honestly, we would have to confess that there is very little good inside us. Indeed, as St. Paul says, even the things we try to do right seem always to go wrong, and are far short of 100-percent acceptability in God's sight. All of this explains precisely why we need a Savior. If we cannot save ourselves, we need someone to do it for us. If we cannot earn forgiveness ourselves, we need someone to shoulder our transgressions and pay the price necessary to get them removed. If we cannot conquer death on our own, then we need to find someone who has that ability. That Person, of course, is the Savior. The work we were incapable of finishing -- the things on which we were forced to give up -- the Savior has accomplished. Now, by the Holy Spirit's power, faith is placed into us and Jesus' successes become ours. THE PRAYER: Dear Lord, normally we would say giving up is not a good thing. However, when it comes to being saved, giving up and placing our faith in Jesus to win our salvation is the only way we can enter heaven. 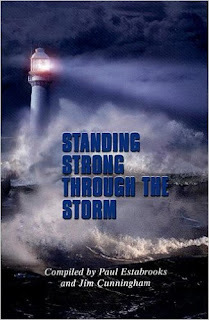 Keep me strong in that faith which has given me eternal life. In Jesus' Name. Amen. En Halloween, un pastor de Carolina del Norte, junto con los 14 miembros de su congregación decidieron hacer una fogata y quemar libros heréticos. Lamentablemente, arriba de todo había varias versiones de la Biblia y otros libros cristianos ya que, de acuerdo con ese pastor, la Biblia King James "es la única versión preservada por Dios, inspirada, inequívoca, infalible palabra de Dios... en inglés". A mí me gusta la versión King James tanto como a él. Memoricé las Escrituras en esa versión, y será parte de mi vida hasta que muera. Algunos versos, como el Salmo 23, suenan bien sólo cuando los digo en la versión King James. Sin embargo, debemos ser cuidadosos. Es muy diferente tener una preferencia personal por una traducción, a reclamar esa traducción como la única inspiración verbal de la Biblia. 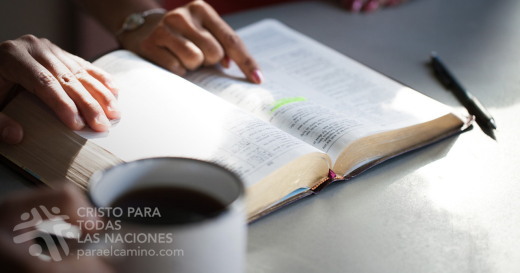 En vez de hacer noticia por quemar la Biblia, sería mejor ver a ese pastor, y a todo el pueblo de Dios, en la primera plana de las noticias por estar viviendo de acuerdo a la Palabra. Y antes de que me malinterpreten, déjenme explicarles. Si bien es cierto que no hacemos el bien para ser reconocidos por el mundo, también es cierto que, si el pueblo redimido de Dios se pasara todo un día mostrando su apreciación por el sacrificio del Salvador, probablemente el mundo lo notaría. ORACIÓN: Amado Señor, llena nuestros corazones de aprecio por el sacrificio del Salvador, y de deseo por compartir su historia con los perdidos. Permite que nuestro testimonio evite que se queme la Palabra y que se levante en alto la cruz de Jesús. Te pido esto en el nombre de Jesús. Amén.